By all things blest while endless ages run. Amen. Happy Feast of the Nativity of Mary, everyone! Mama Mary, please pray for me and for all the little musings I post here, that I, like you, can always point to Christ. Keep Him always first in my vision and my mind. 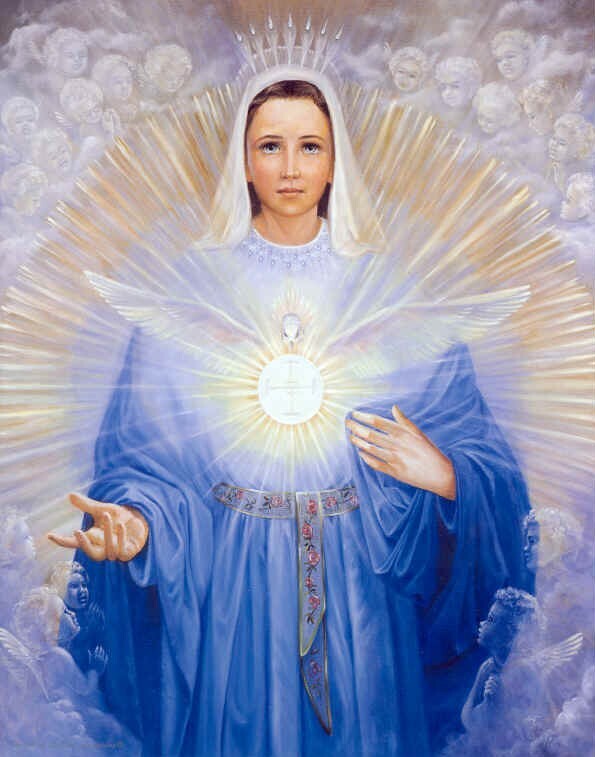 Wrap me, those who read this blog, and all your children in your sapphire mantle of protection and peace. Amen. Posted on September 8, 2015, in Insights and tagged Christ, feast day, grace, Mary. Bookmark the permalink. Leave a comment.